ZIMBABWE – The demise of many good men comes from the beauty of women”, wrote my friend John, a Masters graduate from Brighton University, on his Facebook wall one day. The statement caught my eye and I thought it somehow applied to someone I knew but I could not place it at that time. And thus I brushed it aside. Fast forward some months later, as I watch political drama unfold in my Zimbabwe with Grace Mugabe as the lead actress, I suddenly remembered John’s statement. And it dawned on me that initially when I saw his quote my subconscious had applied it to Robert Mugabe and his wife Grace. 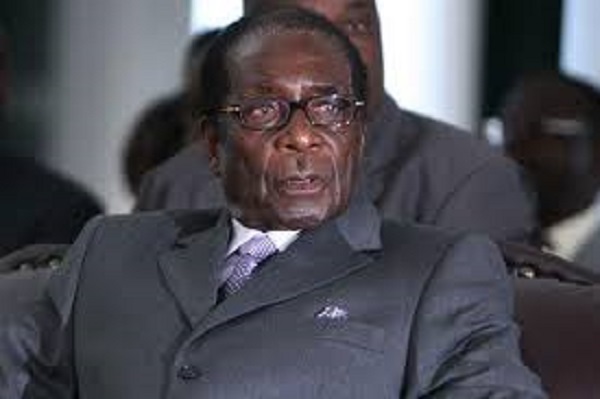 Robert Mugabe was first married to Sally Mugabe who died after a battle with kidney ailment. However, sometime during Sally’s illness Robert must have started yearning for a physically fit woman. In his office, a tall, lanky and beautiful young woman from the government typing pool caught his eye. The young woman was, then, Grace Marufu and no matter how much people love to hate her, she is beautiful with an almost perfect figure. She is tall, with facial features that stand out. She speaks with a nasal accent and walks with a seductive stride, a perfect delight for an old man still with a bit of energy. However, during that time, Grace was, allegedly, still married to her first husband one Goreraza. But she had caught the eye of the most powerful man in the land. A man who nothing or no one could stop. A man known for taking. The affair between Grace and the president was a top level secret which was broken after they bore their first born child, Bona. Journalists who wrote about it were victimised, arrested and tortured. But, for Robert and Grace, their secret was no longer a secret anymore. Sally also conveniently died in 1992.Â With no obstacle in their way, Robert Mugabe finally officially married Grace at a lavish wedding at his rural home Kutama in Zvimba. By that time, Grace had already given the President two children. After the wedding, Grace became the object of picturesque photos, always sitting or walking besides the President quietly. She did not address too many public gatherings. One time she tried addressing university students and came away embarrassed after she failed to pronounce some words. Besides that one incident, all she did was stand or sit next to the president and just be beautiful. She decorated the Presidentâ€™s side in colourful attire at many domestic and international fora. As years passed by, there were rumours about her power behind the scenes. Her extravagant shopping sprees were speculated as being the symptom of a woman out of control. However, people did not dwell much on that theory, they assumed she was just a woman of able means, being the president’s wife. She was photographed all over the world shopping a storm and her insatiable taste for designer shoes made it into international gossip columns. With the sanctions Grace could no longer jet to Paris or New York for purposes of shopping. Everyone hoped this would bring the shopping sprees to an end but alas no. Grace Mugabe discovered new hunting ground, Asia. That is when it became clear to the people of Zimbabwe that she was indeed a woman out of control. As Robert Mugabe’s age progressed, Grace tightened her grip on him and, slowly but surely, began showing her true colours. Even her sitting posture changed, she began holding her shoulders high and was the one who paid attention at government functions as Mugabe became famous for taking long naps in-between proceedings. The supposed sweet and innocent face changed to a constant intimidating frown. With Mugabe’s advancing age came the issue of succession. It started as whispers and grew into chants locally and internationally.Â And then Grace realised she had to stand up to protect the family’s wealth which they amassed during Mugabe’s strong years. For Grace, if her husband was to be succeeded, he had to be succeeded by someone who could protect her and the children and their massive unexplained wealth. Being the one still with energy, the Mugabes hatched a plan to put Grace into a position of power. Events were staged but one event will stand out in Zimbabwe’s history forever. In 2014, Zanu PF women’s league held a birthday party for Grace Mugabe at her orphanage in Mazowe and during the celebrations, they delivered a plea to her. They supposedly begged her to take over the leadership of Zanu PF women’s league. When time came for her to respond, she took the microphone and professedÂ (read faked) reluctance. She however did not turn down the plea, she promised to go and think about it.Â It is of course an open secret that the women’s and youth league are the two strongest organs that determine internal party leadership in Zanu PF. With increasing weakness and failing health of her husband, Grace had hatched a plan to take control of one of the strongest arm of Zanu PF. By so doing, putting one foot in the door of control of Zanu PF and by extension the country. Like lightning, she began a whirlwind spiteful tour disguised as ”meet the people rallies”. The velocity with which she went from being an unwilling, reluctant nominee to a full-fledged public speaker implored people to think the whole reluctance charade was a ploy to blindfold the people of Zimbabwe not to see the devious strategy that had been put in place. With her ascension to power, chaos reigned supreme in Zanu PF. Zanu heavyweights who were known to have been calling for Mugabe’s resignation and advocating for a Joice Mujuru takeover were chopped like baby onions, together with their Joice. Out with the old, in with the new. Overnight, the President’s sweetheart became a fearful woman whom even the police commissioner and vice presidents knelt when greeting her. When she said someone should go, someone went. She became an object of terror before and after Zanu PF congress in 2014. But early 2015, she was rumoured to have undergone major surgery for an alleged colon cancer. People celebrated on social media and some even wished the worst could happen. That’s how much people came to hate her. She has created an indelible mark on the history of Zimbabwe, albeit a dark one. Mugabe should have married a mature woman who, by now, would have grown old with him and would have probably urged him to retire but instead he opted for the tall, beautiful younger woman who has now wrecked Zimbabwe and brought nothing but chaos.